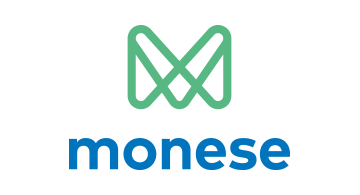 Monese allows anyone to bank like a local in 20 different countries. Today the international workforce and students cannot easily open bank accounts when they move to a new country. Banks aren’t able to easily identify customers that do not have domestic proof of address or credit history due to their legacy technology, process limitations and to some extent business models, so they decline the majority of them. Monese is disrupting this space, as it is squarely addressing a consumer segment that the major banks have traditionally failed to accommodate. Monese has no branches and users are able to manage their UK and Eurozone bank accounts completely on their mobile phones. To join, users only need to download the app on their smartphone and use it to take a ‘video selfie’, provide a snap of their passport or national ID, and fill in some basic profile information. In addition to being able to bank like a local, the experience of using Monese is fully localised and available in 8 languages. Monese closed its Series A funding round in 2016, taking the total amount raised to $16 million. The company is based in both London, UK and Tallinn, Estonia and has grown to a team of 90. Monese is processing around $1Bn in transactions annually. Monese is part of London & Partners’ London Fintech Lounge at Money20/20 Las Vegas.